There are a variety of daily activities in the workplace, one of which is printing. A study found 65% of people print daily. Be aware of unspoken printing etiquette rules at work and help the office run smoothly, reduce waste and save time. Beyond the commonly known rule "do not leave a paper jam behind", here are a few others that are applicable at a variety of workplaces. When a printer message alerts you the tray is low take a moment to refill it. Attempting to print something and going to the printer to find the ‘out of paper’ error message may cause frustration. One may be printing before going to a very important meeting or presentation. If they happen to encounter the printer without paper it may delay their arrival. Refill paper trays when they are low to help prevent empty paper trays. Refilling paper trays is simply a common courtesy to other coworkers at your workplace. Arriving to a printer to see your document unclear or with streaks throughout it may require a reprint. This may result in loss time returning to one’s computer to reprint the document. If printers are in a centralized location the time loss is dependent upon how long or short the distance to the printer is. Nowadays, most printers will display an alert either on your computer or on the machine itself when the toner is low. 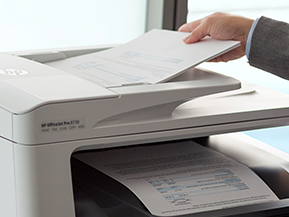 Give your coworkers a hand and replace the cartridge before they print a washed out document. Did you know over 300 million printer cartridges are trashed each year? Which generates 75,000 tons of waste. If you’re wondering “can toner cartridges be recycled”, the answer is yes. To reduce this number, many printer manufacturers, such as Hewlett Packard (HP), recycle returned cartridges. 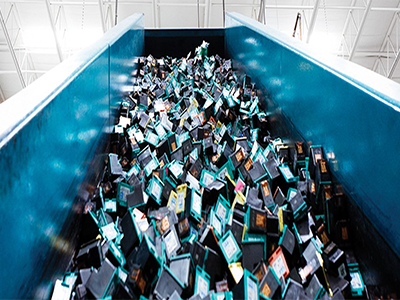 If it’s an original HP cartridge it is recycled with HP Planet Partners and it will never go to a landfill. If you’re a Miller’s customer, our drivers will also pick up toners to recycle on your behalf. 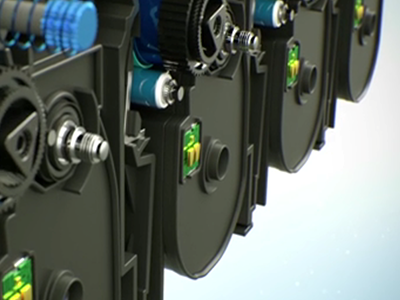 Recycling toner cartridges will help your office sustainability efforts. Does your workplace have a printing policy? A few ways to ensure only printing what's needed consider using both sides of the paper. Or re-scaling a spreadsheet to one page. Learn more about a printing policy on our recent blog post “3 Key Points to Consider When Creating an Office Printing Policy”. Additionally, if there are documents printed often consider creating a template to use minimal paper. Ensure monthly reports or expense reports use the least amount of paper needed. Lastly, take a look at the print preview before printing. Ensure the document is not cut off the page and it’s optimized to fit on the appropriate size of paper. You print something and then get distracted by email or a call and forget about your print. Hours later you visit the printer to find an empty paper tray. 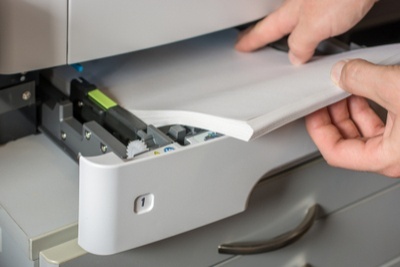 Or you may print a document, immediately approach the printer and quickly grab all the paper from the tray. After you return to your desk you find a few papers that are not yours. Do you return them? Or do you put them in the trash or recycling bin? It’s a common courtesy to your team to leave prints that are not yours. If your workplace does not have a tray for unclaimed prints, adding one could help lower the amount of lost prints. It provides a designated area for people to place prints they discover are not theirs. As well as a second place for others to look when they can’t find their prints. Be courteous to others. Take a moment to sift through prints and leave behind others prints. Whether you work in an office, school, hospital, doctors’ office or church, printing etiquette can help your team minimize lost time, reduce paper waste and help the office operate smoothly. Are you interested in learning more about our printing services? Visit our printing and imaging solutions for information on an array of printers, scanners, ink cartridges and more. Do you know other unspoken printing etiquette rules? Please share in the comments below.